Pre Wire new homes or renovations. 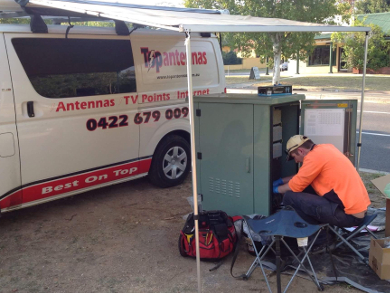 Top Antennas are a household name for the best reception solutions available in Albury Wodonga and local surrounding area! We are a local family owned contracting business, providing satellite and telecommunication installation services to subscription TV and telecommunication companies. 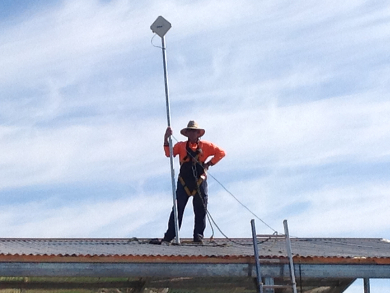 We supply and install Australian made TV antennas. Our unequalled experience ensures that all our customers receive the benefit of up to date knowledge and expertise in digital reception innovations. Installing new HD digital antenna. Extra TV points in almost any area of the home or office. Satellite dish and cabling installed to Australian standards. Internet access point for blackspot and outdoor areas. Stream secure Wi-Fi to another location with Wireless technology. Top Antennas provide the best data and Wireless Technology for Home, Farm or Business. Connection to the Internet is vital in this new era of Information Technology. Therefore, Wi-Fi streaming is a necessity for any Farm, Home or Office. One Wi-Fi in two different locations KM apart. We can stream your Wi-Fi with real time speeds securely. Correct installation in the optimum location is of paramount importance. The data installation industry is regulated and your installer requires the appropriate nationally recognised cabling licenses. Rest assured, Top Antennas comply with all the Australian legislated standards for installation and hold all required licenses. We have experienced and professional technicians available to come to your farm, home or office. We will ensure you have all internet requirements installed exactly where you need them. Top Antennas provide better data and Wireless Technology for Home, Farm or Business. ​Working as Contractor with the NBN on FTTP fibre to the Home, FTTN Copper network and Wireless NBN. We have the knowledge on all types of Internet services, with hands on experience. We understand to best way to configure your internet, so you can get on with running your business or home life. ​The data installation industry is regulated and your installer requires the appropriate nationally recognised cabling license. 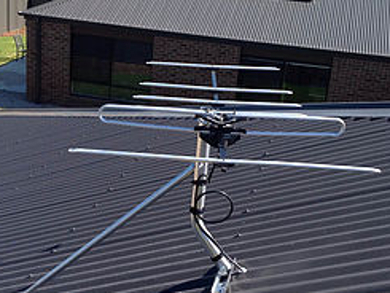 Rest assured, Top Antennas comply with all the Australian legislated standards for installation and hold all required licenses. We design, install and take the time to explain how it works, hassle free. We have experienced and professional technicians available to come to your home, farm or office. Live view on Smart phone and TV. Wide range camera available for different situation. Keeping theft to a minimum is about being proactive. Exposed CCTV’s are silent deterrents. With “remote view APP” you can see when a family member have arrived home safe, from school, or were ever you need visual peace of mind. 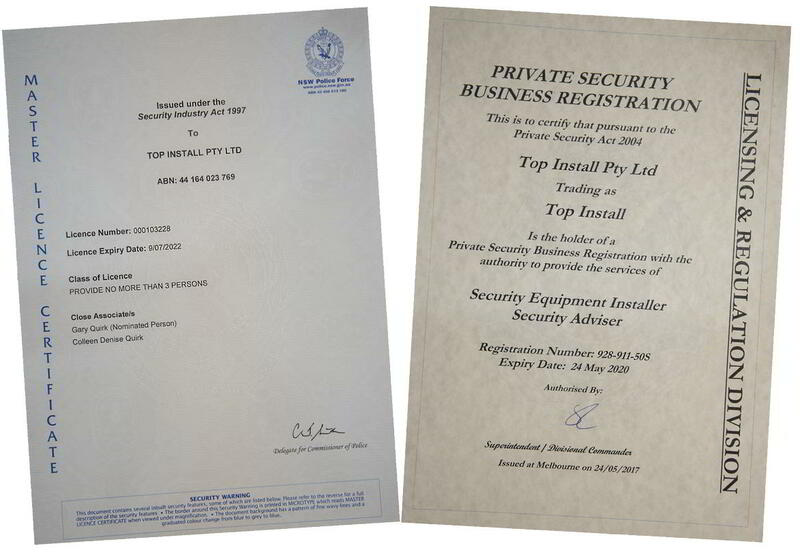 ​The security installation industry is regulated by State Police services and by “LAW” your Security installer must be Licenced. ​We are fully accredited & Licenced in Victoria and NSW. Rest assured, Top Install comply with all the Australian legislated standards for installation and fully insured throughout Australia. 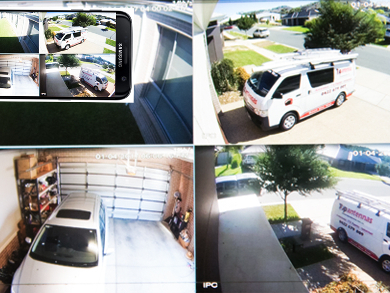 ​We design, install and take the time to explain how the security system works.